so, I've just bought my first touchscreen phone... it came with a SIM card, Norton security, other bundle stuff like that. 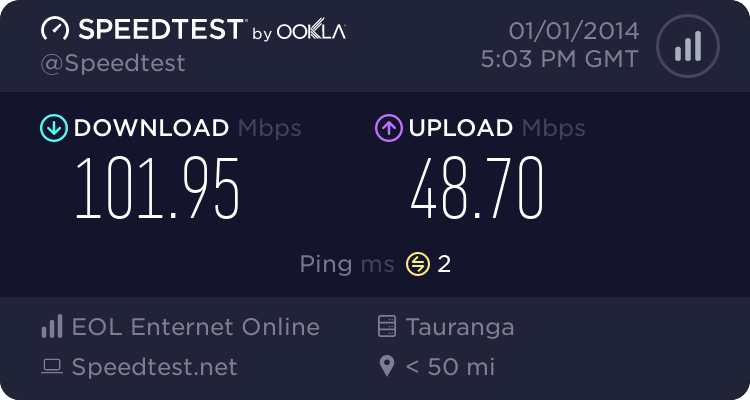 I've mucked around with it and I see that I can use both my home WiFi and mobile data to access websites ... and I'm curious what exactly I'm paying for this. -- when I go to settings/device/status, it doesn't even list my phone as having a phone number ("unknown"), I'm not sure what to do about that. was I sold some sort of pre-paid data with my SIM card or something? I don't understand why it's not really a 'phone' yet, but I apparently can run up data usage. While on 3G open up your internet browser and go to sphone.telecom.co.nz, it will display your phone number. Downloading the Telecom app from google play should show your number. Where do you buy this from? Online or at the store? Lykho: so, I've just bought my first touchscreen phone... it came with a SIM card, Norton security, other bundle stuff like that. congratulations on getting your first smartphone! 1) what phone did you buy? did Norton come on the phone and what other bundle stuff? 2) what exactly you're paying for what? the phone or the wifi or the 3g? if you mean mobile data - you can check on m.telecom.co.nz/yt or download the green graffiti app. if it's an android it may show you mobile and/or wifi usage if you set the dates right. 3) it's a smartphone because it does more than calls and texts, but it's not that smart. no it doesn't know your mobile number, grandmother's maiden name, bank account balance or anything like that. although some apps can take advantage of that and collect information on your life. always check what permission it gains before downloading anything on the google play store. 4) the android if it's a late version has data usage in its settings. what version is your android? The phone number being "unknown" is not an issue and pretty normal. Wifi will work even without a SIM, it is not tied to your mobile account in any way. Whether you have a pre-paid data pack, you'd have to check your account and what you were sold. If not, you can still use data, but it's at the casual rate (which is, iirc, $1 for 10MB per day on days you use it), so this would simply deduct from your balance. As to usage, if it's a reasonable recent Android version, the built-in Data Usage monitor should have Wifi and Mobile tabs to let you monitor data usage per app on the two connection types. 1: Samsung Galaxy Ace II (Android 4.1.1 currently; not sure if I can update to better than that). haven't installed Norton yet. the bundle just had a car charger, Norton, and the Telecom SIM "preloaded with $19 value pack" ("after first value pack normal charges apply. offer not transferable to existing Telecom mobile numbers") (I haven't stopped using my old Telecom phone yet, haven't decided whether to get a new number or transfer things (the SIM itself?...old one probably isn't 3G, so I guess I'll get the Telecom store to do a transfer) over to this new phone). People have talked about having Avast on their phone. is it not smart to have some sort of app for monitoring security? right now the only security I have is turning off wifi and 3G before using a downloaded app -- I noticed some of them had ads popping up at the bottom, and I figure if it's an app that works offline, why let it use up data to spam me, eh. If anyone else has handy pro-tips in this vein, please chime in. 4. it does: please see one of my tangents in the post below about 'settings' data info. riahon: While on 3G open up your internet browser and go to sphone.telecom.co.nz, it will display your phone number. Downloading the Telecom app from google play should show your number. when I load that page, it comes up with a screen saying "enter your mobile number" (then has a password tab after that). if I load "Your Telecom" (the bookmark that's already on the home screen, I get a 'login' page asking for my number and password. but it says that this is being displayed because I'm connecting over wifi not 3G so it needs to know my number. so, I've switched to mobile data, and this time Your Telecom loads the "sphone" link instead, + /mobile/view/account infoit says various things... "bal: $0.01", "unmetered"- oh!, and I would assume the number on the right of the balance is my phone number :D thanks! is this how I set up my password for accessing the same info/etc. via wifi, or, given that it's unmetered, is that kinda pointless? (I've heard that the phones will preference wifi access over g3, but if I have both enabled, will it just default to using 3G for Your Telecom access, and not for everything else? awesome, it says I've only used 2mb and have 498mb to go :) (when I purchased I had no idea what amounts were offered, I just knew it was a free SIM card itself). also, will this data/etc. value pack I've been given expire? does it count as prepaid or a monthly thing? would it 'carry over'? ah, interesting. so, are you saying I can simply put money into my account, and it's there to be spent on whatever I actually use (txts, calls, data, whatever)? I always assumed it was more like plans, where you get x number of minutes/txts/mbs. so, if I'm not someone who sends a lot of txts, prepaid could be a good idea? or is data still so much cheaper on monthly plans that the txt/call allotment is just a bonus? yea, finally realized that the other day. weird that it doesn't say that on the box anywhere. I heard about the Telecom NZ app the other day, and was horrified by the permissions it required and decided not to get it. I doubt it's much more useful than the Your Telecom browser page already linked in the phone, anyway. should my computer be able to detect my phone for 'safely ejecting' it? the phone shows up in Computer as a portable device ("connected as media player"), everything else I've ever had has come up in the safe eject menu, though. does this not need to? I can get custom ringtones, but can I have custom "notification" tones? it seems like there's only the default list, and I don't even see where they're stored so I could sneak my own files in there. There's no safely remove because the storage is still mounted by the phone, not the PC. PC is accessing the storage via the phone. To get custom notification tines you can create a folder called "Notifications" and put your files in there. Android will then find them and add them to the list of available notification tones. There are monthly recurring plans as well as one-off extras which include voice, text, data in varying amounts. is there a way to have it access the card simple as a card, as though my phone itself were merely an adapter? (I'd think so, but can't find this option). I have a USB adapter for the card, but it's such a hassle lol. scheduler: To get custom notification tines you can create a folder called "Notifications" and put your files in there. Android will then find them and add them to the list of available notification tones.